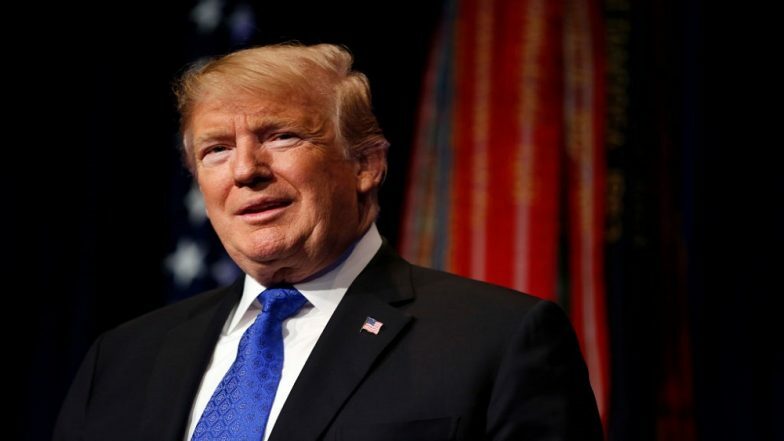 Washington, March 31: The US is cutting off aid to El Salvador, Guatemala and Honduras, the State Department told CNN, a day after President Donald Trump said the three Central American countries had "set up" migrant caravans for entry into the America. "At the Secretary's instruction, we are carrying out the President's direction and ending FY 2017 and FY 2018 foreign assistance programs for the Northern Triangle," a State Department spokesperson said on Saturday. Donald Trump Threatens to Close US-Mexico Border. The Northern Triangle of Central America refers to the three countries of Guatemala, Honduras, and El Salvador, especially in regard to their economic integration. "We will be engaging Congress as part of this process," the spokesperson added. The government of Honduras responded to announcement on Saturday night, blaming "contradictory policies" by US agencies for the move. Officials in Tegucigalpa said they would continue working with El Salvador and Guatemala on the Northern Triangle initiatives while "internal discrepancies over regional cooperation are resolved." Honduras also emphasised its "solid and positive" bilateral relationship with the US, adding that relations between both countries were strengthened this past week when its President Juan Orlando Hernandez and US National Security Adviser John Bolton met at the White House. Saturday's development comes after Trump said on Friday: "We were paying them tremendous amounts of money. And we're not paying them anymore. Because they haven't done a thing for us. They set up these caravans." According to the US Global Leadership Coalition, comprising retired diplomats, military leaders and members of Congress, aid programmes in the three countries are working to address the "root causes of violence" in order to "promote opportunity and security for their citizens". Officials would not say exactly how much money would be affected by the directive with some of it likely already spent. Between last year and this year, about $1.3 billion was allocated to the region, with the vast majority of it going to those three countries, according to a study from the Congressional Research Service.